From carpet to hardwood to tiles, Rembrandt Flooring ensures that your new floor is installed with the utmost care and precision. 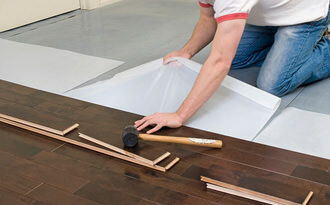 Installing your floor properly, the first time around is part of our core values. We use the best products for all floors from proper subfloor materials, to thinset, grout and glue. Issues of bubbling, unlevel floors, unfinished corners are all things of the past as Rembrandt Flooring is committed to providing superior products and service. Our installation team is highly experienced on and knowledgeable in all floor types and take steps to ensure that any common flooring problems do not arise, allowing you to relax knowing that your floor is being installed properly. Looking to change the look of your home or office, but do not want to have any major construction projects? 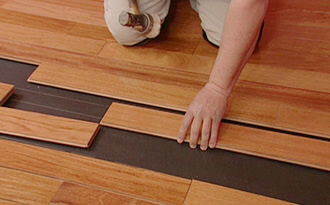 A simple floor renovation is the solution! Whether changing from carpet to hardwood, or vinyl to tile, Rembrandt Flooring will consult with you about what will work best in the area you need new flooring.